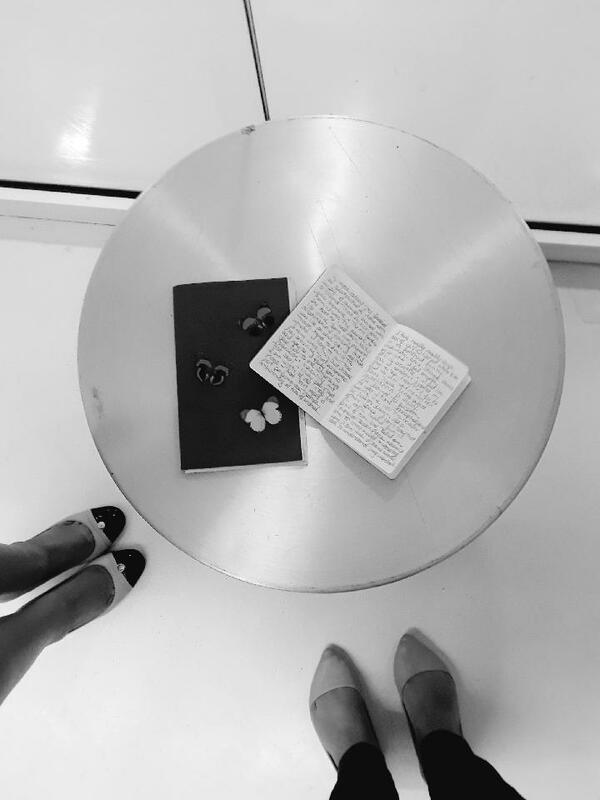 2017 Create Change Fellows Elizabeth Rossi and Stephanie Alvarado have creative conversations through journaling. They began with choosing a journal and writing an entry, followed by a prompt. Both artists exchanged their journals for six weeks building on their creative conversation. Questions included: What does a decolonized love look like? How has your love changed in the past 10 years? Tell me about a time you were a transformer? What are your rituals for healing? We are not only friends, but also respect each other’s art and minds. With this our writings were not only deeply personal but a reflection of how interwoven our values are to our everyday lives. What struck me about our writing was the focus on love. It was not a romantic flowery version of love, but rather real conversation as people who do political work engage in the topic of love politically and in our personal relationships. For us, the work in not about the jobs we are paid for, though we do try to incorporate it. It is in our love for our people. Our belief that our ancestors will lift us and guide us. It is in the friendships that hold and push us forward to laugh and work in the revolution with.